Provide comfort for the family of Raymond Stark with a meaningful gesture of sympathy. 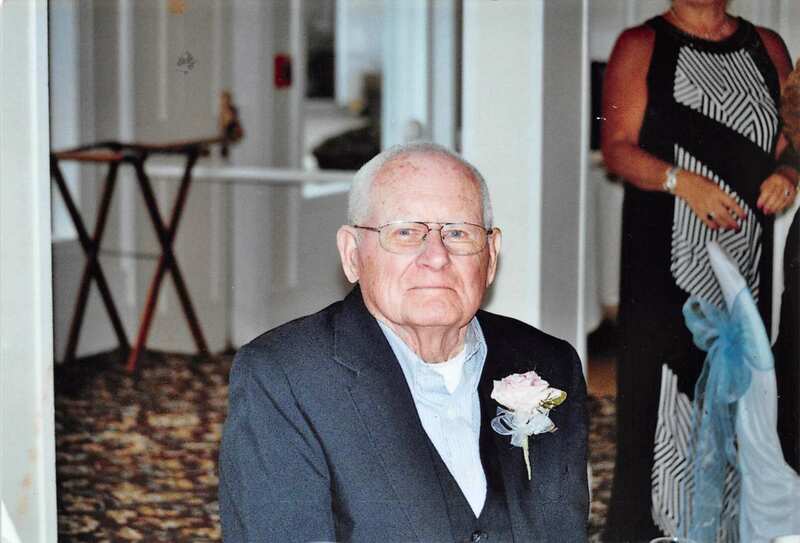 GRAFTON: Raymond E. Stark, 89 passed away peacefully at his home surrounded by loved ones. He was the last, original homeowner of Kaye Circle, still residing there. Ray was born and raised in Boylston. He moved to N. Grafton in the mid 50’s to raise his family and work at Wyman Gordon’s, where he worked for over 42 years. He was devoted to his wife, Elizabeth A. McQuoid, who passed away in 2004. Ray enlisted in the Massachusetts National Guard and the Naval Reserves. Ray was proud to be a direct descendant of Gen. John Stark of NH who fought in the Revolutionary War and coined the phrase “Live Free or Die”. He was a volunteer of the Grafton Senior Center and more recently, a 10 year volunteer at UMass Memorial Medical Center. He leaves his 4 children and their spouses, Joan Stark (Peter) Stark-Cornetta of N. Grafton, James (Delores) Stark of Oxford, Paula (Michael) Gorrell of Clinton, and William (Donna) Stark of Auburn, 3 grandchildren, Amy, James, and Patricia, and 4 great grandchildren, Deja, Paulo, Gabriella, and Samuel. He also leaves a sister Barbara Thomson of Florida, a brother Robert Stark of Boylston, and several nieces and nephews. Besides his parents Arthur and Mildred Stark of Boylston, he is predeceased by his brothers Kenneth and Richard Stark. Services will be private for family, at Roney Funeral Home in N. Grafton. In lieu of flowers, donations may be made to the charity of one’s choice or to honor Ray, pay it forward with an act of kindness. To send flowers to the family of Raymond E. Stark, please visit our Heartfelt Sympathies Store. Consider providing a gift of comfort for the family of Raymond Stark by sending flowers. Provide comfort for the family of Raymond E. Stark by sending flowers.